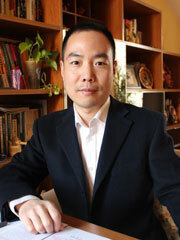 Li Jiguang, who was born in Feb. 1981, has a Ph.D. in Economics. He is currently positioned as the head of policy-making consultation office of the National and Social Science Fund of China in the Institute of International Economics, UIBE; Research Fellow; Doctoral Supervisor. From 2011 to 2013, he was seconded to the Publicity Department of the Central Committee of the CPC at the achievement office of the Nation Planning Office of Philosophy and Social Science. Since 2007, Li has published 9 books, including 2 academic monographs and 7 co-authored academic compositions; 31 academic papers in core journals and SSCI source journals, including 24 papers as independent or first author, and 7 papers as second author. He has also submitted 8 research reports, among which 4 was adopted in “The Collection of Important Reports” subsided by National Social Science Foundation of China. He has been awarded with 6 ministerial or provincial level prizes, including 2 awards which he participate as the lead author. Li is the host of one general project of National Social Science Fund, two research projects for the key research institute of humanities and social science of Ministry of Education, and also participates in 15 other national, ministerial and provincial level research projects. 9.Zhang Hanlin, Li Jiguang: Encyclopedia of WTO, Encyclopedia of China Publishing House, 2007-01. 20.Li Jiguang, “The Opening Strategy of China’s Advantageous Resource-consuming Products”, Asia-Pacific Economic Review, 2009-10;21. 18.Li Jiguang: “The Analysis of Three-level Strategic Game on the Economic and Trade Frictions between China and EU”, Youth Project of Humanities and Social Sciences Research, Ministry of Education, 2007-11-16.